A fashion magazine features editor, Leah McDevitt is haunted by the memory of her cherished younger sister, Melissa, who vanished years ago. 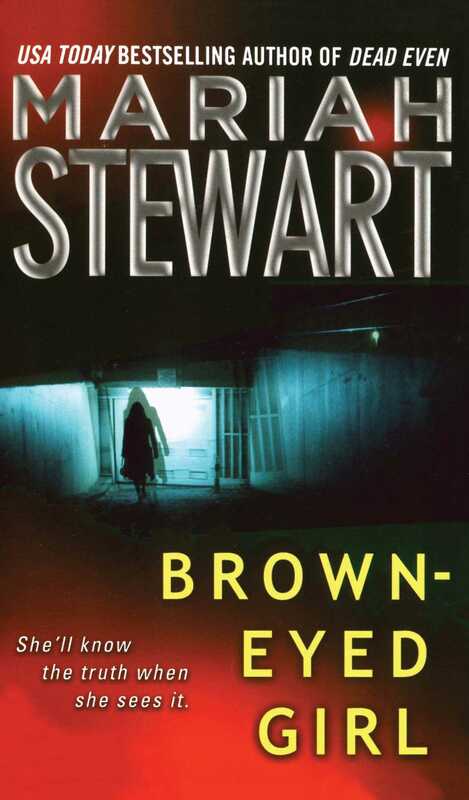 Missy, whose extraordinary eyes -- one blue, one brown -- may have lured her abductor to her....When Leah receives a letter from death row inmate Raymond Lambert, she eagerly agrees to pay him the long-standing reward for information about Melissa -- even if it means coming face-to-face with a notorious serial killer. But before Lambert can impart his secrets, he himself is killed. Devastated but determined, Leah heads to the Maine woods to seek out private investigator Ethan Sanger, who authored a book about Lambert in exchange for yet another of Lambert's terrible secrets. Leah and Ethan strike a sparking passion with the power to heal their painful pasts. But someone has his eye on Leah...someone who knows more than he should...and who won't be satisfied until Leah sees the truth with her own eyes. The drone from the tired engine hummed through the small plane like a lullaby made weary from infinite repetition. Leah McDevitt shifted slightly in the narrow seat, clutching the worn brown leather portfolio to her chest and smiling even in her sleep. Dreaming, no doubt, of the expression on her cousin Catherine's face when she saw the article Leah would deliver for the May issue of Trends, the bimonthly magazine they had inherited from their uncle eight years earlier. Pragmatic Catherine, the heir to the majority of shares as well as Uncle Harry's business sense and his position as editor-in-chief, had long since proven herself a worthy successor. Leah, having been born with a healthy dose of wanderlust and a freewheeling, creative spirit, was delighted to have been given carte blanche in the features department, where she had seemingly endless opportunities to travel, permitting her to acquire a firsthand knowledge of exotic cultures and explore new vistas, much of which would eventually grace the pages of Trends in one form or another. Leah's current project, photos plus text, had taken her on a jaunt to trace the use of tattoos -- a current hot fashion trend -- through antiquity. From Egypt to Greece to Turkey, she'd been fascinated by her finds and hoped that her readers would be also. In a museum in Greece, there had been fourth- and fifth-century Greek vase paintings that depicted women with strategically placed tattoos intended to accentuate their muscular physiques. The designs -- vines, geometrics, spirals, and animals -- were almost contemporary in nature, and she could barely wait to see the color photos she'd taken. She'd learned that throughout the ages, tattoos had served to mark prisoners of war and slaves in some cultures just as frequently as they were used as symbols of beauty and wealth in others. The tiny tattoo of an owl on a modern youth might be chosen to symbolize wisdom. The ancient Athenians, however, used it to mark the foreheads of their prisoners of war. Leah shifted again to ease the weight on her left hip and leaned her head against the window. They'd be in Amsterdam soon, then on to New York. She had yet to decide whether she'd go straight to the country house in Connecticut -- little more than a cabin, really -- or to the brownstone in Manhattan, another bequest from Uncle Harry, she shared with Catherine. Knowing she had at least a dozen more hours before she'd have to make the decision, she covered her yawning mouth with her hand and permitted herself to drift back to sleep. It was almost two in the morning when Leah collected her luggage and began to make her way through JFK Airport. Well rested after having spent so much of her time sleeping on the plane, she was looking forward to writing her article. Once outside, she spotted the car she'd arranged to pick her up and opted to go straight downtown to the office, rather than to the townhouse where she would more than likely awaken Catherine upon arrival. The lobby of the narrow, weathered brick six-story Dean Building was well lit, the guard at the horseshoe-shaped front desk clearly visible from the street. The car pulled up in front, bringing the guard to the front door to investigate, one hand on his cell phone. Leah waved as she climbed out of the backseat, and, recognizing her, the guard unlocked the front door. "I wasn't expecting anyone. It's late for anyone to be out." He said this almost accusingly, as if irritated to be taken from the warmth of the lobby on such a frigid night. "I should have thought to call you, Frank. I'm sorry." Leah flashed him her best smile. "I'm just back from my trip and thought I'd stop in and do a little work, since I slept through most of my flight." "I have coffee on in the kitchen," he offered as apology for having chastised her, however mildly he'd done so. After all, he did, in a manner of speaking, work, if not for her, then certainly for her family. And he'd known all of them, from the Harry Dean who founded the magazine that over the years had become Trends -- it had been Milestones back then -- to Harry's children, Sally, Harry, Jr., and Anna, all gone now, Harry, Jr., having outlived Sally by a year, Anna by many more. As Harry, Jr., had no children of his own, the magazine had passed into the hands of his nieces, his only living relatives, upon his death. This new generation was surely different, Frank shook his head imperceptibly. That a young lady would show up at a Manhattan office building in the middle of the night to work! Certainly, Leah's mother, Sally, would never have done such a thing, but then, kids today, he rolled his eyes. "Coffee sounds great. I'll grab a cup on the way up. Thanks, Frank." She rolled her wheeled suitcase close to the desk. "I'll just leave this here, if you don't mind. No sense in hauling it upstairs." "I'll take care of it for you," Frank said, tucking the suitcase closer to the area behind the desk. "It'll be right here when you want it." Leah ducked into the small room, no larger than a closet, and helped herself to a Styrofoam cup that she filled with dark fragrant liquid. Day or night, one could always find a good cup of coffee in the lobby of the Dean Building, if one knew where to look. She sipped at it appreciatively, tucked the leather portfolio under one arm, and hoisted her travel bag over her shoulder before heading to the elevators. She touched the arrow pointing upward with her one free finger and the doors slid open immediately, as if awaiting her pleasure. Leaning forward to tap the button for the fifth floor, she caught a glimpse of herself in the mirrored wall. 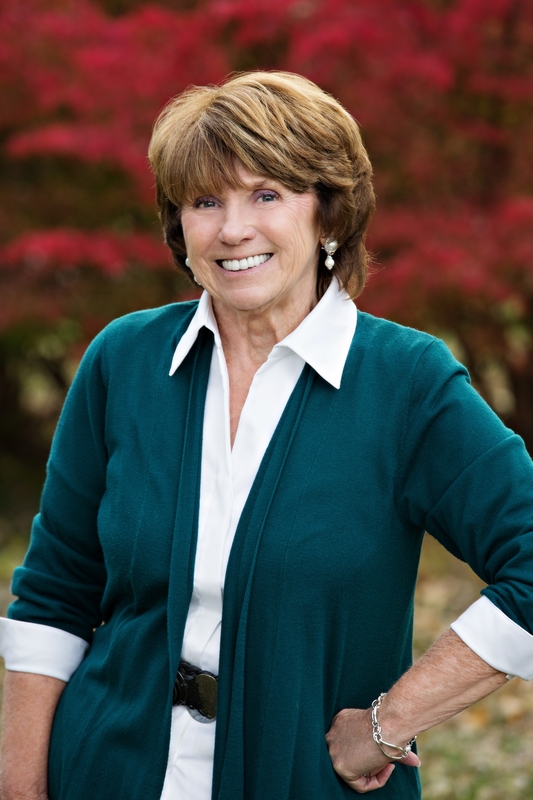 In baggy khaki pants and a navy pea jacket, her dark hair tucked behind her ears and held back with a loose ribbon, her face bare of makeup, Leah looked younger than her thirty years. The large canvas travel bag over her left shoulder weighed her down, and she listed slightly to one side to compensate for its weight. She looked more like a graduate student returning from a vacation than the features editor of a popular magazine returning from a business trip. Leah stepped off the elevator onto a well-carpeted floor and followed the silent hallway to her office. Unlocking the door and turning on the light, she sighed when she saw the mountain of mail that awaited her attention. Well, it will all have to wait just a little longer, Leah thought as she dropped her bag on the floor and turned on her computer. Pushing the stack of envelopes aside, she pulled her notes out of the brown leather folder and spread them out upon her desk. Slipping into her chair, she toed off her shoes as she sipped pensively at her coffee, her opening line already formed and at her fingertips. She set the cup down and began to type, her thoughts clicking along as smoothly and efficiently as a commuter train. Later she would download the photos she had taken and begin the process of deciding which to use. Three hours later, as the sun was just beginning to rise, Leah rolled her chair back from her desk and read the copy for the tenth time, changing a word here, a phrase there, also for the tenth time. Rubbing the back of her neck she decided that what she had was a good first draft. Achy and stiff from sitting so long in the same position, she rose and, after a series of stretching exercises, went into the small bathroom to the left of her office where she splashed cool water on her face. Still patting her skin dry with a pale blue towel, she rummaged in the small refrigerator near her desk in search of a cold bottle of spring water. Finding one near the back behind a container of long-expired peach yogurt, she sat back down at her desk, refreshed and, she figured, good for at least another hour or so. Leah was determined to finish the article and leave it on Catherine's desk so that it would be there when her cousin arrived for work. Which should be soon, she realized after glancing at her watch. Catherine was an early riser and could be found at her desk most mornings by seven o'clock. Maybe one more read-through, maybe just a little more polish, Leah thought, hitting the print icon on her computer. Leah preferred to do her editing on paper rather than on the computer screen. As she stood up and leaned forward to reach the pages that slid quietly from her printer, she knocked over the pile of mail and memos she had previously shoved aside. Cursing softly, she knelt down to pick them up. Carolyn, her ever-efficient assistant, had put little sticky notes on just about every item in the stack. "Proofs for the beach-bum article" was printed neatly on one. "Call Mr. Allen in production on this piece...he says it's too long," read another. "This woman called three times but wouldn't tell me what she wanted" was noted on one of the pink telephone messages. "This is marked P &amp; C, so I didn't open it" sat upon a plain white envelope on which her name and address were neatly printed in blue ink. Dropping everything else to the side of her desk, she slipped one finger under the partially opened flap on the back of the envelope marked personal and confidential. "Damn," she muttered as the paper sliced into her finger, causing a thin line of red to emerge. "I hate paper cuts." Leah stuck the bleeding finger into her mouth and pulled the cheap white paper from the envelope, snapping it slightly to open it flat. It took several readings before she understood the message. Even then, she did not -- could not -- believe what she was seeing. Her knees weak, she dropped into her chair and, with shaking hands, read it over yet again. And then she began to cry. "Dear Ms. McDevitt," Catherine read aloud from the letter a white-faced Leah had met her with before she'd even managed to welcome her cousin home or open her office door. "I saw you on that television show, the one about missing persons. I know where your sister is. Does this mean I get the reward? Signed, Raymond Lambert." Catherine's eyes had widened with every word. Finally, she looked up at Leah and said, "It's another hoax, honey. You know it is. Just like the others have all been." "Cath, the others weren't from Raymond Lambert." "And you don't know that this one is." The letter rattled slightly as Catherine waved her hand. "It's possible that someone else wrote it. Anyone could use his name." "Sure. Anyone on death row at the Robert Orville Johnson Correction Center down there in Warehamville, Texas, could be using his name." "Catherine, you do know who Raymond Lambert is, don't you?" One of America's most notorious serial killers, Raymond Lambert was currently on death row awaiting a lethal injection that three other states also would love to administer. Texas had earned the right, however, by virtue of the fact that they'd caught him first and tried and sentenced him even before his long trail of homicides had been unraveled. Catherine tossed the letter onto her desk and sat down, her bottom jaw clenched. "There's never been any connection between Melissa's disappearance and Raymond Lambert, Leah. Through all the trials, and all the hoopla over this guy, all of his confessions, he's never mentioned her name." Catherine spoke as if she was thinking aloud. "He -- or someone else -- is simply playing with you. Didn't the host of that television show ask you if the reward was still available?" "And you said something like, 'The reward will stand until we find out what happened to my sister.' That's pretty much what you said, wasn't it?" "Sweetie, fifty thousand dollars is a lot of money. People have told much bigger lies for a whole lot less." Leah pulled a high-back leather chair close to her cousin's desk and sat down, her elbows resting on the highly polished desktop, and studied Catherine's finely boned face. Catherine's blue eyes had darkened and narrowed with concern, her mouth had been drawn into a tight, controlled line. Catherine Connor had not risen to the top of her field by losing her head even under the most emotional circumstances. Calculated where Leah was spontaneous, precise where Leah might be impulsive, Catherine managed the magazine in the same manner in which she managed her life. There was no room in either for anything that wasn't concrete, factual. This letter was obviously a hoax as far as Catherine was concerned and, as such, merited no more of her time. "What if he really knows, Cat?" Leah asked softly. "He doesn't." Catherine rolled the letter up into a ball and tossed it in the direction of the trash can. She missed. The paper ball rolled slightly to the left and bounced off the wall. "Leah, I'm so sorry. God knows that I would do anything in this world to find Melissa. But I don't believe for one second that this guy is doing anything but pulling your chain. If I recall correctly, he was known to enjoy torturing people. Don't be another one of his victims, Lee." "All these years, I've wanted to believe that she was out there, somewhere." Leah looked across the desk at Catherine with eyes that were suddenly very weary. "Everyone thinks I'm crazy to believe that she could still be alive. Maybe I am -- "
"Of course you're not, sweetie," Catherine's response was quick and certain. "There are thousands of stories about people who had been missing forever showing up unexpectedly years later. As long as you and I believe she could still come home, does it matter what anyone else thinks?" "Yes?" Catherine asked of her secretary. "Ellen Petersen is on the line." "Thank you." Catherine turned back to Leah, her voice softening. "I'm sorry, sweetie, I have to take this call. If I thought there was any chance that Lambert knew anything about Melissa's disappearance, I'd be on the first plane to Texas. But he doesn't. Let it go." Leah rose without responding, pushing herself out of her chair with heavy hands and walking to the door on leaden feet. The balled-up letter lay near the door, and she bent down to pick it up. Crushing it within her fisted hand, she returned to her office and looked out the window, her mind abuzz with a million thoughts that careened off each other like tiny bumper cars. "Carolyn, please call archives and get me everything -- I mean everything -- you can get your hands on about Raymond Lambert." "Raymond Lambert? The serial killer Raymond Lambert?" the young woman asked uncertainly. "When will you need it?" "As soon as possible. As much as you can find, as quickly as you can get it." "Sure thing, Leah," Carolyn replied. "I'll get right on it." Leah released the crumpled paper from her fist and spread it out on the desk. The printing was small and precise. No superfluous curls or flourishes. Even the message was clear and to the point. I know where your sister is. Does this mean I get the reward?